Chemical Engineering Science has an open access mirror Chemical Engineering Science: X, sharing the same aims and scope, editorial team, submission system and rigorous peer review. Chemical Engineering Science (CES) has been publishing papers on the fundamentals of chemical engineering since 1951. CES is the platform where the most significant advances in the discipline have ever since been published. Chemical Engineering Science has accompanied and sustained chemical engineering through its development into the vibrant and broad scientific discipline it is today. We welcome manuscripts presenting cutting-edge research, of either an experimental or a theoretical nature. While centered in chemical engineering, manuscripts will often have scope that cuts across disciplines, ranges across scales, from the molecular level to the plant level, with impact not only on specific research questions but also in global issues. Critical reviews of cutting-edge developments are also considered. 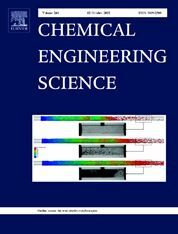 Papers submitted to Chemical Engineering Science are assessed by the editorial board via a thorough peer-review process only with regard to their quality and potential for fundamental and long-lasting contribution to chemical engineering. Chemical Engineering Science classifies research into the following main fields: Biochemical engineering, Materials synthesis and processing, Particle technology, Process systems engineering, Reaction engineering and catalysis, Separation processes, Thermodynamics and Soft Matter, and Transport Phenomena including Fluid Mechanics. Application areas covered by the journal include Chemicals, Minerals, Energy and Fuels, Water, Environment, Sustainability, Food, Medicine including Pharmaceuticals, and other areas to which chemical engineering applies.